The Treasure Coast's online wedding resource, providing brides, grooms, and wedding planners local vendor information, tips, strategies, and ideas for the big day. All Things Treasure Coast is your source for expert advice on planning the best day of your life! Research your wedding vendors here, whether you're looking for ideas, solidifying your choices or purchasing the bling. We provide you with local vendor contact information, as well as advice straight from the experts. Learn the tips of the trade from the best of the best! You can trust All Things Treasure Coast to be there for you every step of the way. Plan your Happily Ever After here on the Treasure Coast! Start with researching your ring purchase in our Jewelry Section. Need help to plan the big day? Use local guru, Eventful Moment by Cindy Morley. For the big day decor, local florist South Forty Ltd is a popular choices. Dance the night away with the best entertaining company around, Traxx Entertainment. Customize your dinner choices with Sunrise City Catering. Treat your guests to sweet treats by The Cake Lady Custom Cakes!! Get wedding day picture ready with Vivid Salon and Spa Remember your big day with pictures by Mitch Kloorfain! Many other local companies are great choices, these are just a few of the local favorites. Check back often for updates! Our advertisers are invited to contribute their expert advice to this page. If you are interested in providing content, please fee free to contact us! We support local wedding vendors in Indian River County, St. Lucie County, Martin County and Okeechobee County. All Things Treasure Coast provides brides, grooms, and wedding planners the information they need to plan a fairy tale wedding. Our list of local resources is growing every day. Check back often to see which wedding vendors in your area are added to our list. Engagement Photos, Bridal Showers and Bachelor/ette Parties kick off the big day and require much planning, as well. Glowing skin is a must, so check out A Girl with a Gun Tanning for a healthy, beautiful sunless tan. Make up and Hair is equally as important. Check the resources under Health & Beauty! The Treasure Coast is the perfect place to hold a wedding. Scenic landscapes, historic buildings, and beautiful churches make it the ideal spot to tie the knot. Premier wedding reception venues include, The Fort Pierce Yacht Club, Endless Summer Winery, Island Beach Resort, Harbour Ridge, and The Mansion at Tuckahoe. 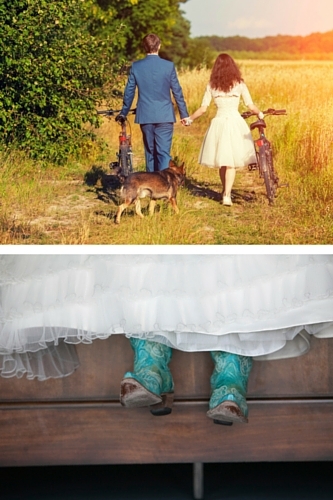 Have you chosen the Treasure Coast for your destination wedding or honeymoon? Great selection! Beaches are endless, restaurants are abundant and relaxation is a must! Planning the big day can be stressful, you've made it! Now it's time to soak up the sun and enjoy the Treasure Coast! Make sure your wedding day is perfect! Plan ahead and use us as your resource for local vendors and wedding ideas. Make a list of the most important aspects of your wedding and make it happen. 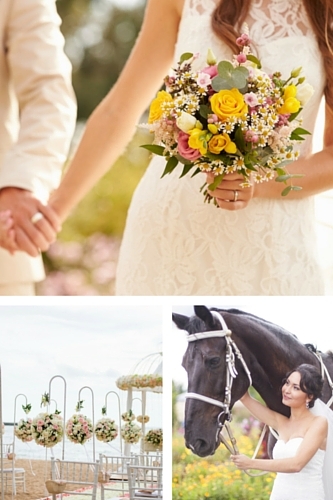 With a little planning and the area's best vendors, your wedding will be perfect! Would you like your business advertised on this page? Contact us today!